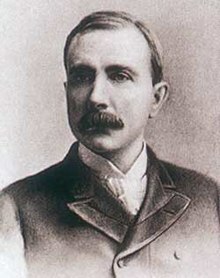 John Davison Rockefeller (8 July 1839 – 23 May 1937) was an American business tycoon, industrialist, and book-keeper, most famous for his role in the early petroleum-industry and the founding of Standard Oil. Measured in today's dollars, Rockefeller is the richest person in the history of mankind. He was also the first billionaire (in US dollars) in history. 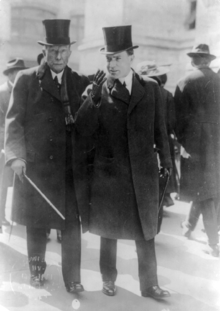 With his son John D. Rockefeller, Jr. and his advisor Frederick Taylor Gates, he established the Rockefeller Foundation, "to promote the well-being of mankind throughout the world." The most important thing for a young man is to establish a credit — a reputation, character. The day of combination is here to stay. Individualism has gone, never to return. I don't want a nation of thinkers, I want a nation of workers. Earliest citation found in Google Books is from 1993, where it is attributed to country-music singer Kenny Rogers. Not found attributed to Rockefeller until 2006. Though attributed to John D. Rockefeller, Sr. in I Want to Make Money in the Stock Market : Learn to Begin Investing Without Losing Your Life Savings (2006) by Chris M. Hart, p. 169; this is clearly a statement of his son, John D. Rockefeller, Jr., as quoted in John D. Rockefeller, Jr: A Portrait (1956) by Raymond Blaine Fosdick, p. 189: The only question with wealth is what to do with it. It can be used for evil purposes or it can be an instrumentality for constructive social living. My mother and father raised but one question: Is it right, is it duty? I took responsibility early and, like my parents, I was serious. "A Capital Life", a New York Times book review of Titan by Ron Chernow (1998).